Semper Fi! 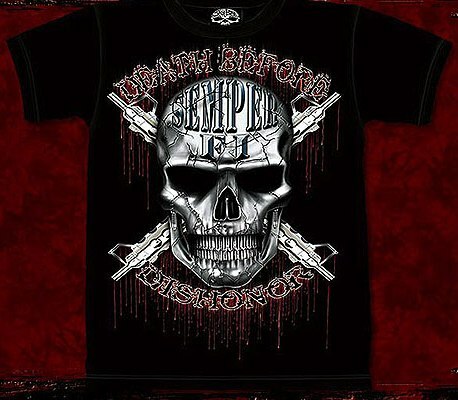 Our Death Before Dishonor T shirt is bound to turn heads. Available in Medium,Large, X Large, 2 XL and 3 XL. Please use the drop down menu below to select your size. This T shirt has been discontinued by our supplier. We still have some in stock, however we may not have your size available. We will contact you for an alternate size if that is the case.